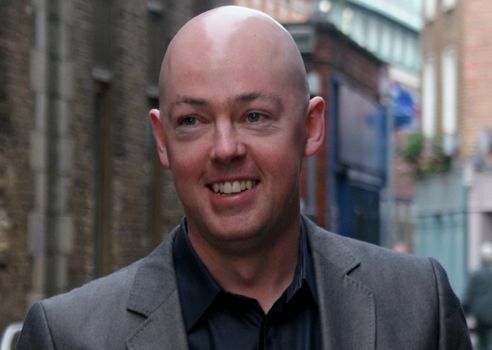 I read a John Boyne novel about sexual abuse in the Catholic Church in Ireland a little reluctantly. It’s such a sad, horrible tale and I have a number of Catholic friends who’ve been badly hurt by actions of a number of heinous priests and the bishops who hid their crimes. Still, I feel it’s always necessary to confront horror and A History of Loneliness does that with great skill. When he smiled and tucked his face downwards in that curious manner he had, a series of chins made themselves visible, one atop the other like folds of whipped meringue. ‘Ah,’ he said, waving his hand to dismiss the concept of sober driving as some sort of new-age fad. He was there with a couple of his pals, wearing his best suit, a black and white striped tweed, his thick dark hair Brylcreemed back with the comb trails still running through it like a freshly tilled field. Away ahead of me was a clean stretch of sand and I walked close to the water’s edge, allowing the waves to rush over my bare feet as they danced in and out like a young one engage in a hop jig. I could keep my eyes open no longer and turned the page down to mark my place before switching off the bedside lamp, cursing the fact that Tom had made me drink four pints of Guinness and two whiskeys, for the whole mixture was playing like Fossett’s Circus in my stomach and I dreaded to think the head that would be on me in the morning. Hannah was surprisingly cheerful on the day she moved into the Chartwell Home, a specialist facility for patients with developing dementia. She was enjoying one of her more lucid periods at the time, but one of the curious aspects of the disease was how it would occasionally allow the victim a few hours’ respite like a benevolent employer, leaving the patient more like her old self again. White-plastic-sealed oblongs of hay were stacked like ice-cream blocks left out to melt in the late-afternoon sun.